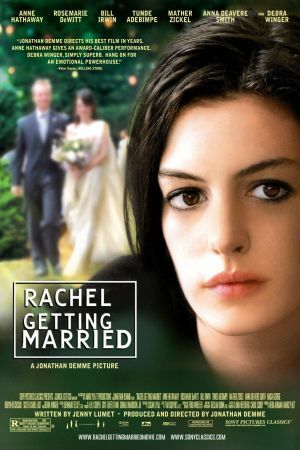 Young fans of Anne Hathaway's previous roles in family films such as THE PRINCESS DIARIES and ELLA ENCHANTED probably wouldn't know what to make of her character in RACHEL GETTING MARRIED. Hathaway's Kym is a recovering drug addict who leaves rehab behind to attend the wedding of her sister, Rachel (Rosemarie DeWitt, MAD MEN), but Kym's problems follow her home. Rachel cannot forgive or forget Kym's many drug-fuelled transgressions, and their father (Bill Irwin, LADY IN THE WATER) dotes on his returned daughter. As the wedding grows closer, the spotlight shifts from Rachel to Kym, much to the bride's irritation. The alternately hilarious and heartbreaking dialogue in RACHEL GETTING MARRIED adeptly walks the line between wit and reality, giving audiences a picture of a family that feels entirely authentic. Before directing this indie-feeling drama, director Jonathan Demme spent time doing a few documentaries, such as THE AGRONOMIST, and JIMMY CARTER: MAN FROM PLAINS. These films seem like a departure from his normal oeuvre--including THE SILENCE OF THE LAMBS--but they work as a bridge to RACHEL GETTING MARRIED. Demme chose to shoot this film with handheld cameras, lending it a naturalistic feel, as though a cameraman is simply shooting the family videos of a fascinatingly flawed group of people. The cast certainly deserves praise for the film's authenticity as well. 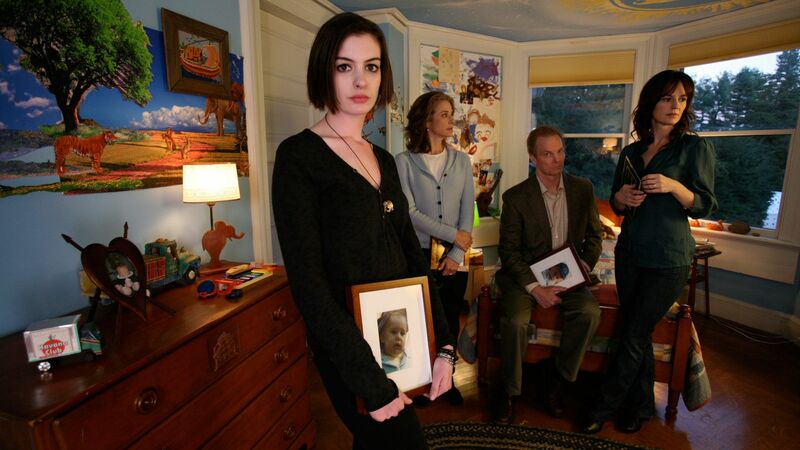 Much has been made of Hathaway's masterly shedding of her usual roles to play the damaged Kym, but credit should also go to the other members of the cast, particularly Irwin as the too devoted father and DeWitt as the overlooked sister. Stories about dysfunctional families are nothing new in the world of cinema, but RACHEL GETTING MARRIED stands out thanks to its talented cast and excellent script from Jenny Lumet, daughter of director Sidney Lumet.